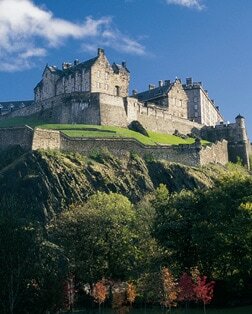 This imposing castle dominates the cityscape from atop its rocky perch. Situated at the end of historic Royal Mile, its dramatic, medieval design remains largely unchanged since the 18th century. The National Museum of Scotland was formed when the Museum of Scotland merged with the Royal Museum in 2006. Side by side on Chambers Street, the museums offer Scottish and international exhibitions.